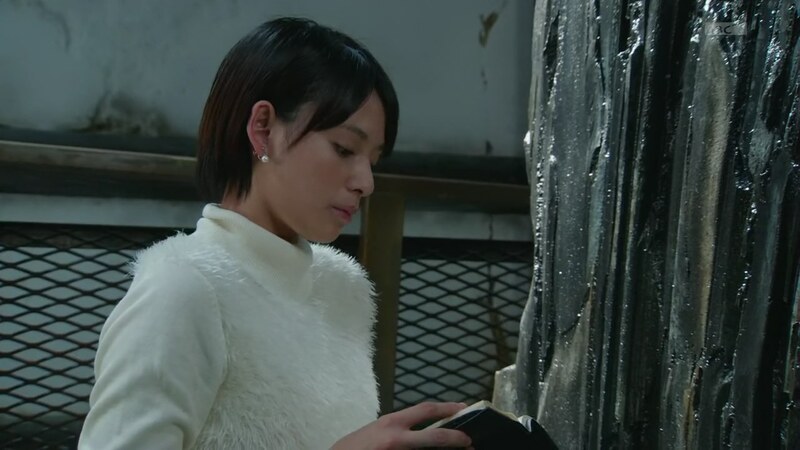 Recap: Kamen Rider Ghost, Episode 12 – Heroic! A Man's Resolve! 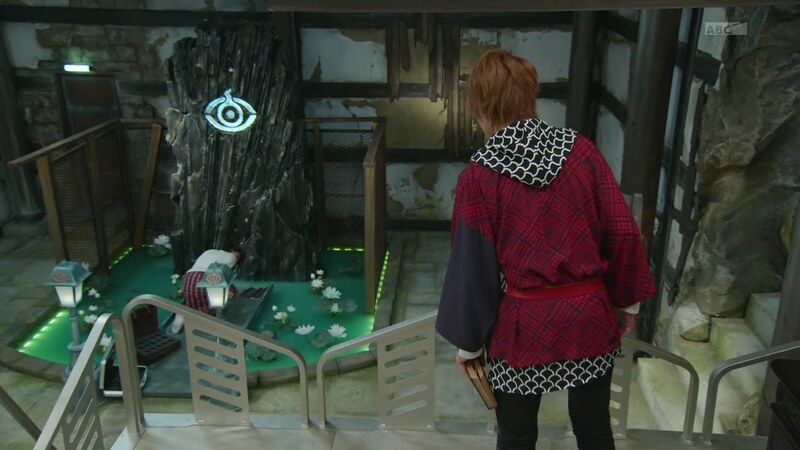 Takeru prays at his father’s grave as he only has 21 days left. Akari and Onari are recapping what happened with Saionji at the monolith. Akari wonders if they can make another wish if they can get the 15 Eyecons before the January 10th deadline. Takeru comes in and says Grampa Sennin is nowhere to be found. Maybe he won’t ever return. Akari and Onari say they shouldn’t give up. 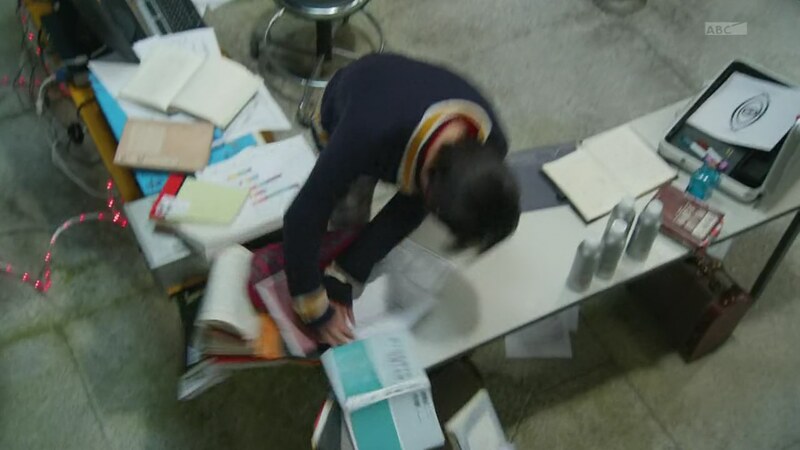 Onari goes upstairs to get Shibuya and Narita out looking for Eyecons. Akari trips in front of the monolith, but says she’s fine. Takeru notes how much she’s changed. She’d never believe in the supernatural before. She says she still doesn’t. But now’s not the time to argue about that. Takeru thanks her, but she says to thank her when she’s brought him back to life. The countdown to January 10th begins as they all spend the next three weeks looking for the other Eyecons. Meanwhile, Kanon is recovering in the hospital and asks her Makoto-niichan if there’s something they can do to help Takeru. Makoto goes to the waterfront to think, but Aran approaches him. Alan says he would’ve helped Makoto if he had known he was collecting Eyecons for his sister. Anyway, traitors must be dealt with. Javert pops in and asks Alan if he’s just going to let Makoto go. Aran reminds Jaberu about wasting Gundari and demands he hand over the Luminary Eyecons. Javelle hands over the two he has and Aran says he’s off to meet his brother. He warns Jabel not to do anything dumb and fail while he’s gone. Alan draws an eye and pops into it. Javel will not have any of this being called a failure so he decides to go clear his name. New Year’s comes and goes. Takeru and Onari go training in the waterfalls. Takeru brings Akari to the exhibit she wanted to bring him to for his birthday. 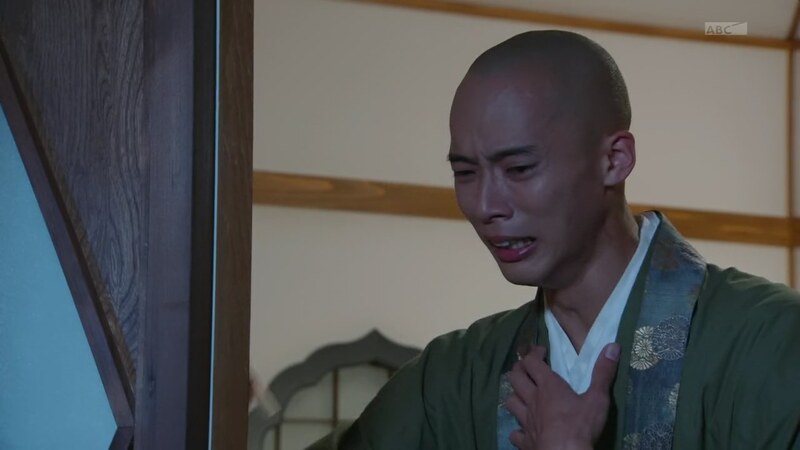 Onari cries looking at the calendar, seeing tomorrow is January 10th. Akari continues working in the lab, but knows time is running out. Meanwhile, Takeru tries getting some sleep even though he is visibly worried. His father seems to appear and watches over him. It’s the morning of January 10. Akari and Onari are not really sure what to do, but Takeru cheerfully greets them a Good Morning. Takeru says just in case, he wants to thank them for everything. That starts the tears for Akari and Onari, but Takeru reminds them that they don’t know if he really will disappear anyway. Suddenly, Narita comes stumbling to the temple and tells them Shibuya has been captured. Takeru hurries out and finds Jabert has tied Shibuya up. Javeru says he’ll let Shibuya go only if Takeru is dead. They both henshin and battle. Onari and Akari arrive. 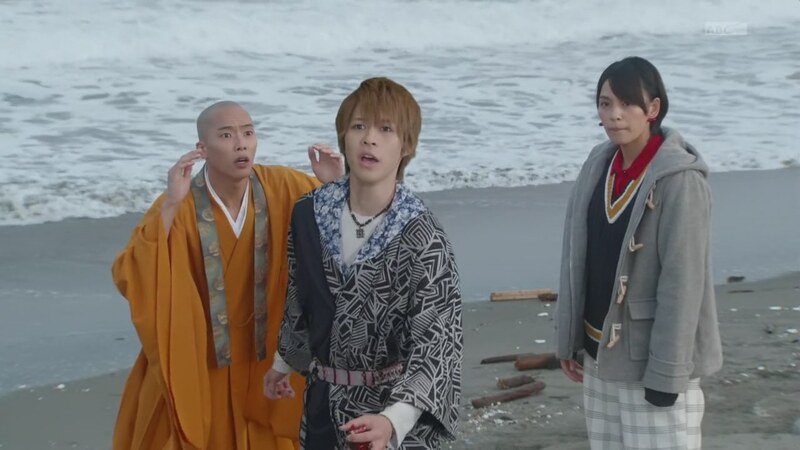 Onari unties Shibuya while Akari shines the lantern to reveal Takeru and Jaber as they fight on the beach. Javelle swipes at Takeru and he goes down. Just then, Makoto arrives to help. 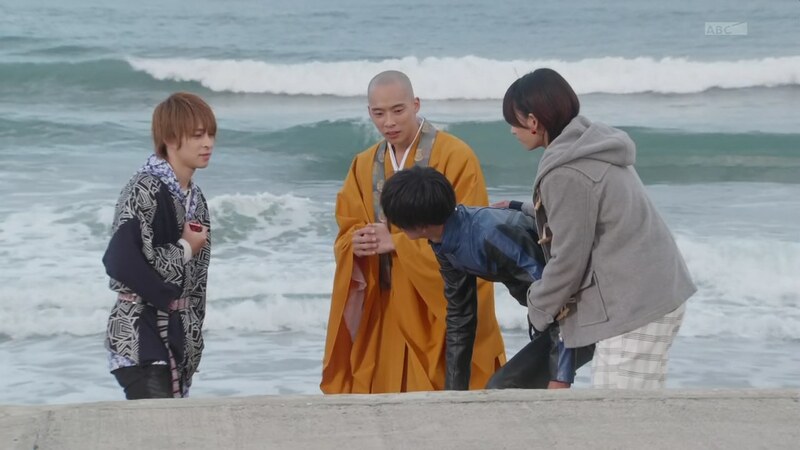 He takes on Javel as he tries to encourage Takeru back onto his feet. 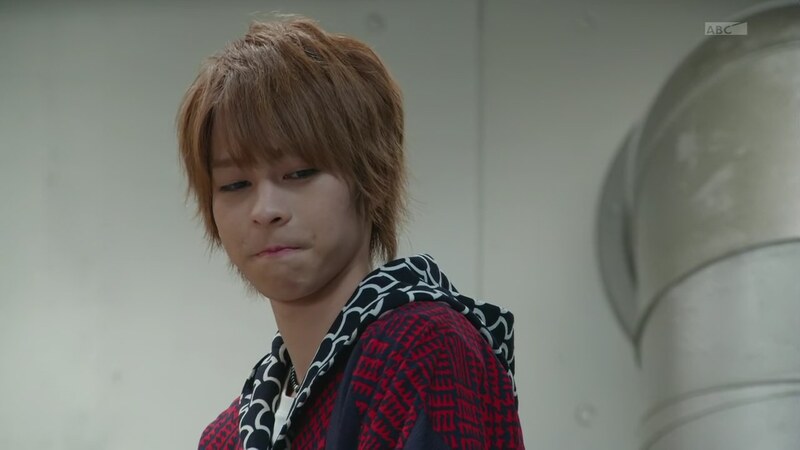 Takeru gets up, but he suddenly dehenshins. Onari and Akari run over. Grampa Sennin and Yurusen watch from nearby. 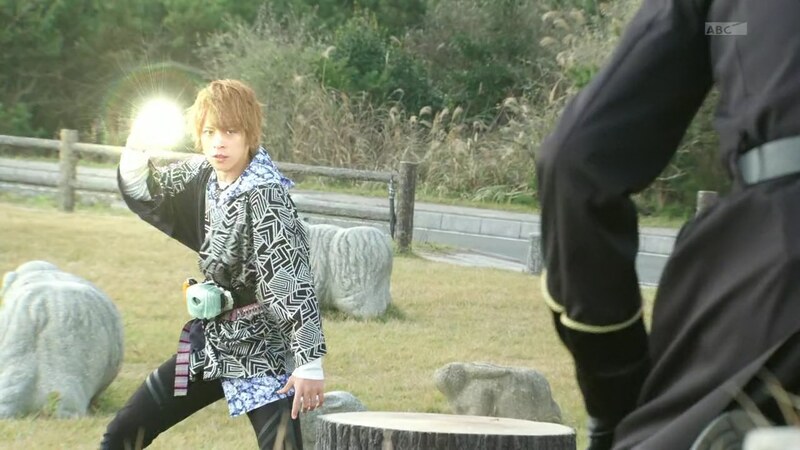 Suddenly, a bright ball of light appears above Takeru. 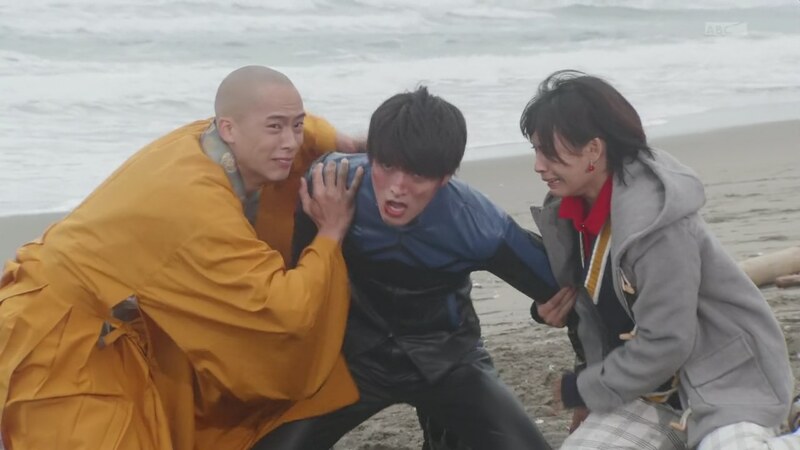 Onari and Akari don’t want to let him go. 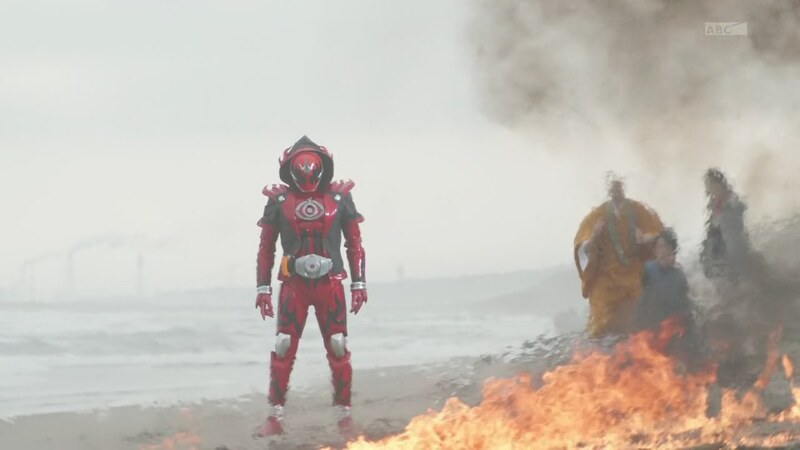 Takeru’s life flashes before his eyes and he asks them if he lived his live burning brightly. 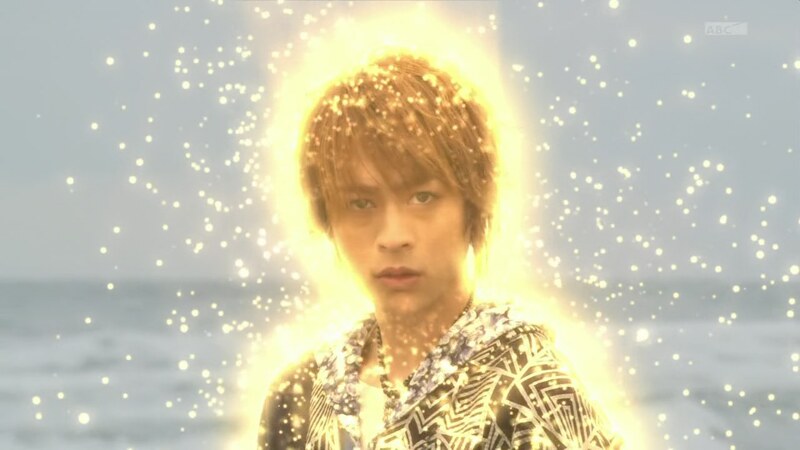 Takeru begins to glow and fade away as Onari says he did indeed shine bright. Akari says he’s an idiot, but that’s who he is. 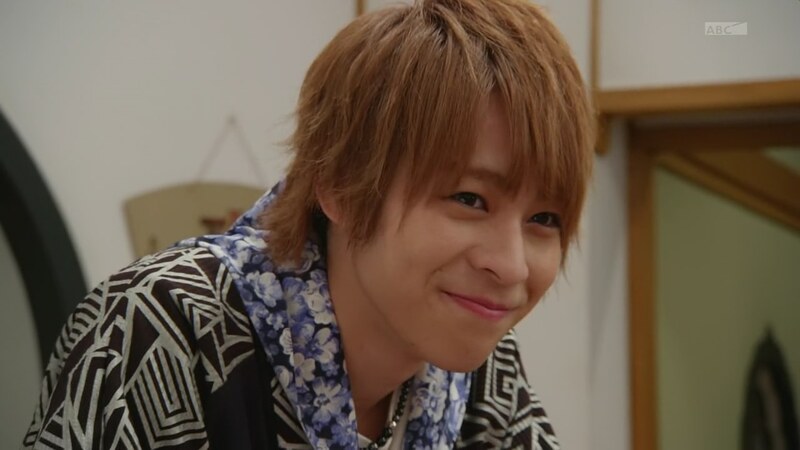 Takeru apologizes and smiles as he is taken into the light. Feathers flying all around them. 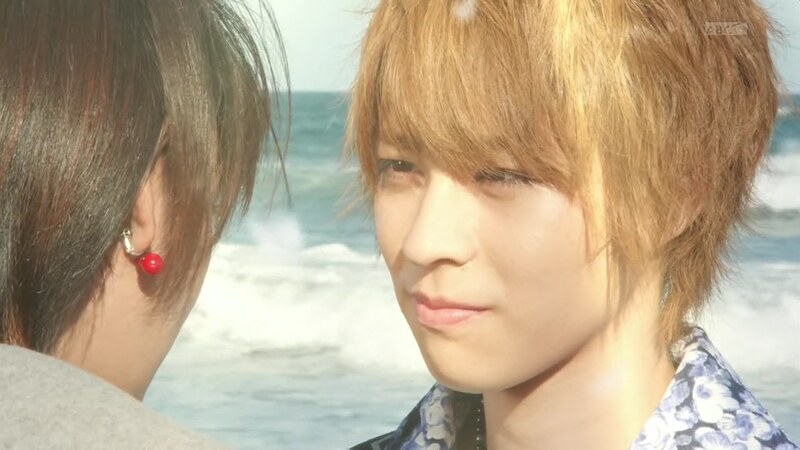 Takeru “wakes up” and comes face to face with his father. He falls to his knees and says sorry. But Papa Tenkuuji tells his son to get up because he’s done well and he’s proud of him. Ryuu apologizes for getting Takeru involved, but Takeru says he just wanted to protect everyone. Ryuu agrees he is the only one who can. 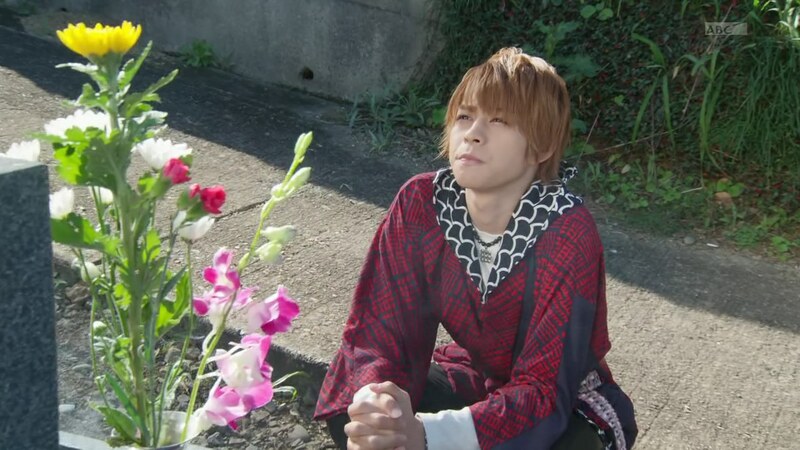 He tells Takeru to connect the souls of the 15 luminaries and open a path to the future with his life and his feelings. “I’m counting on you.” Papa Tenkuuji hugs his son and disappears while transferring some sort of power to Takeru. 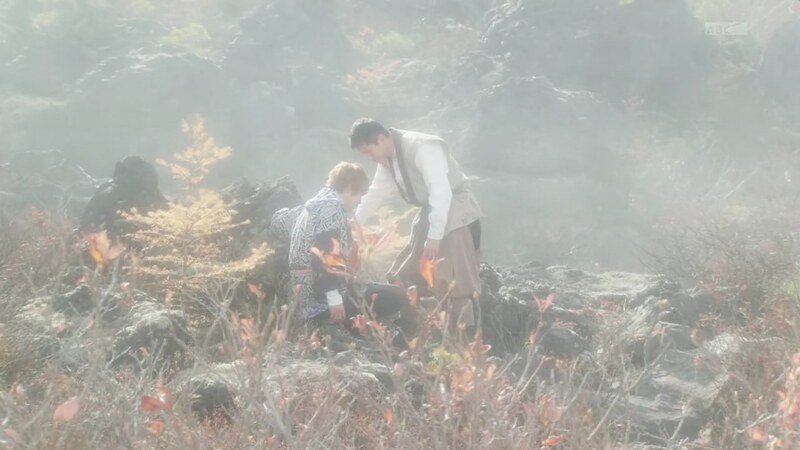 Onari and Akari are grieving the loss of their friend. Grampa Sennin and Yurusen are also sad. Makoto continues fighting Javeru and is resolved to continue Takeru’s fight for the future. But Jabert just shoots at him and forces him to dehenshin. 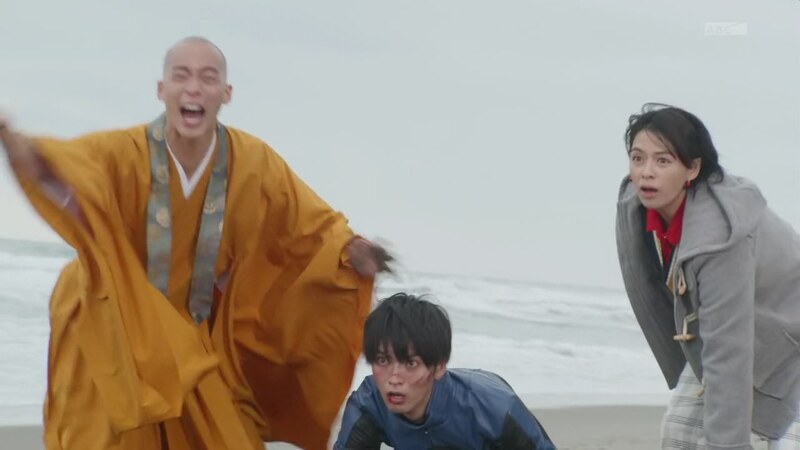 Akari and Onari run over to Makoto who tells them to just leave him and run. But they will not. Javert decides to just kill ’em all. But SUDDENLY! A glowing Takeru comes flying in. Takeru has a brand new Eyecon and uses it to henshin. Takeru officially henshins to Boost. Jabel attacks, but Takeru easily counters everything. 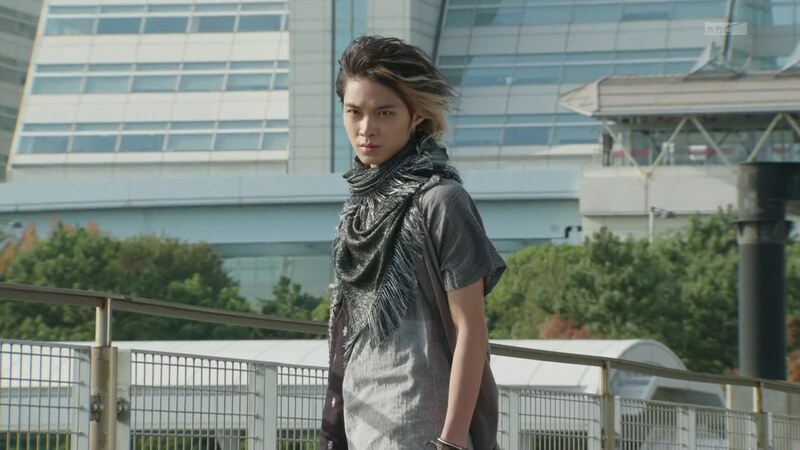 Takeru uses his new Sunglasslasher before unleashing a big Boost Omega Drive to finish off Javeru for good. His Eyecon even bursts. Takeru dehenshins and heads over to his friends who are happy to see him. Takeru says he’s not sure, but his father lent him his power. And his father is in the Boost Eyecon. Makoto says Takeru has surpassed him. But Takeru wants to thank him for keeping his friends safe. Takeru puts his hand out, but Makoto turns to walk away. Takeru asks Makoto-niichan to fight the Ganma with them. But Makoto says there is something he needs to settle on his own first. Onari and Akari are excited Takeru has finally revived. But Grampa Sennin appears to Takeru and says he’s still a ghost and that his situation was just reset in an unusual way. Now he has 99 more days, but this time he will surely disappear at the end of it. Back at the temple, Akari and Onari ask about Papa Tenkuuji. Takeru tells them about needing to connect the 15 Luminary Eyecons. Akari and Onari promise to help him find the Eyecons once again. Another great episode. It felt like another climax or just the 2nd part of last week’s climax. Very exciting and a clear “reset” or at least real end of this first arc, I suppose. It’s only been 12 episodes, but I already feel the bond between Takeru, Akari and Onari. So the emotions running through the episode and the impeding glittering away of Takeru definitely worked for me. Especially when they throw in nice New Year’s celebration/family picture scenes. I actually liked those more than any of Takeru’s scenes with his father in this episode including that trademark magical hug. It really is very interesting how the season and the story are developing. This episode on its own felt like a midseason climax or an episode 45 or something. The hero dying, but getting revived to continue the good fight with a brand new toy. That’s of course happened on almost every season of Kamen Rider I’ve seen so far. So since they’ve already done it here, it should be very exciting to see what the next step is and next climax will be. I doubt they’ll be repeating this episode once this 2nd 99 days is over. So again, we still really don’t know where everything is going. But you don’t feel lost or like you’re jumping on a ship to nowhere. There’s clearly something Takeru needs to do, maybe some part of his destiny and whatnot. But there’s also still some villains who are working in the Ganma/eyeworld and still haven’t shown up yet. Definitely still lots of possibilities for where to go next with all the characters. That’s very exciting. I am a bit mixed about the “reset” twist. Not that it’s bad, more like an anticlimactic end to all the buildup in the first half of the ep. 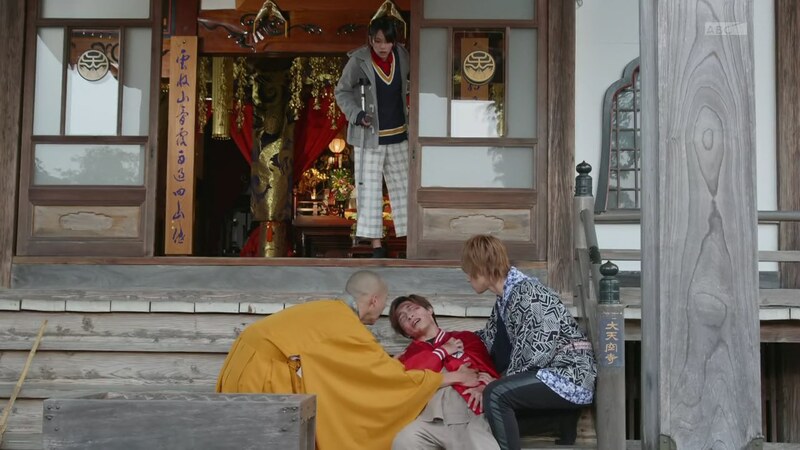 Speaking of the first half, it was one powerful moment, what with all the desperation of Akari and Onari wanting to keep Takeru alive. This one also hit me hard, since I watched the ep just a few days after my dad died. Yeah, it definitely feels like a bit of a cop out and anticlimactic. But I just assume that means the next deadline will be much bigger. Though, again, it might not even matter considering just about anything could happen before then, whenever it is. Very interesting.